After a bonanza in 2006, Big Oil is poised for a slightly less big year in 2007, as slowing U.S. economic growth and an expanding global supply cushion may help keep a lid on prices. Oil prices will continue to hover at historically high levels, analysts say, because of strong demand in China and the Middle East, efforts by OPEC to reduce output and market-rattling instability in petroleum-rich countries such as Nigeria and Iraq. Barring major supply snags, however, transportation, manufacturing and home-heating fuels should be less expensive than last year — thanks to an anticipated production spurt from non-OPEC countries and a calmer outlook for the refining sector. "The problem is, who expects a surprise-free environment?" said Larry Goldstein, president of the New York-based Petroleum Industry Research Foundation, an industry-financed think tank. To that end, many analysts are looking for crude-oil futures next year to average more than $60 a barrel, but to hover below the 2006 average (through November) of almost $67 a barrel. Oil peaked above $78 in July. The country's three biggest integrated petroleum companies — Exxon Mobil Corp., Chevron Corp. and ConocoPhillips — are expected to earn more than $68 billion in 2007, or 4 percent less than in 2006, according to estimates from analysts surveyed by Thomson Financial. In general, the profit outlook is brighter for independent oil and gas producers, analysts say, and dimmer for independent refiners. Another year of massive profits in the oil patch could make business difficult for airlines, automakers and retailers, while arousing scrutiny in Washington, where Democrats will control Congress for the first time in more than a decade. The U.S. economy is expected to grow at a slower rate in 2007, in part because of high energy prices, but the country's financial engine is at greater risk from a slump in real estate. "The economy has largely adjusted to $60 oil, so the real question is where do we go from here?" said Stephen Stanley, chief economist at RBS Greenwich Capital. "If we go to $75, then we'll be talking about oil being a major drag on the economy. If we fall to $45-$50 we will be talking about how lower energy prices are a boost to the consumer." Global oil demand is expected to rise by 1.5 million barrels a day, according to the Paris-based International Energy Agency. But this shouldn't strain the market, analysts say. The combined supply from non-OPEC countries in Africa, Latin America and the former Soviet Union is anticipated to rise by nearly that much. Indeed, in a departure from the recent past, the fate of oil prices in 2007 may rest heavily on OPEC's shoulders, analysts said. OPEC has essentially pumped all it could the past few years and the price of oil still soared to record heights, thanks to rising global demand, geopolitical instability and a thin supply cushion that kept traders nervous about the slightest hiccup. But excess crude oil production capacity around the globe now stands at 2.5 million to 3 million barrels a day, an amount roughly twice as large as a couple of years ago. Analysts say that should help ease, if not eradicate, jitters about potential supply disruptions. "OPEC is going to have to manage markets for the first time since 2001," said oil analyst Yasser Elguindi of Medley Global Advisors. A mild winter or a continued slowdown in the U.S. economy could force OPEC to remove even more supply from the market. The cartel meets Dec. 14 in Abuja, Nigeria. But even as OPEC tries to prevent global supplies from swelling to price-collapsing levels, some oil executives say the likelihood of that happening is slim anyway. While supplies look ample now, "the continuing demand for oil and gas is unrelenting," said John Hofmeister, president of the U.S. subsidiary of Royal Dutch Shell PLC. The International Energy Agency forecasts world oil demand to rise to almost 86 million barrels a day, with consumption growing in China and across the Middle East at an annualized rate of 5.4 percent. At the same time, potential supply problems loom, including the war of words between Iran and the West over Tehran's nuclear ambitions and unrest in Nigeria. Analysts are also paying close attention to Iraq. Fimat USA analyst John Kilduff said growing sectarian violence could easily spread into a fight about "who gets what in terms of oil money." For oil refiners, the outlook looks much better than in 2006, when new environmental rules forced the industry to make changes to fuel specifications, including the phase-out of a gasoline additive that was replaced by ethanol, and the introduction of lower-sulfur diesel. These transitions stoked fear among energy traders and contributed to a sharp rise in pump prices before summer. 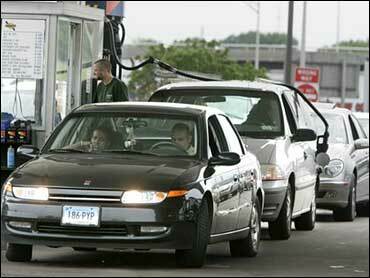 No big changes to fuel specifications are expected in 2007. This should help relieve significant pressure on fuel makers — and reduce the likelihood of spiking pump prices next summer. However, executives warn that challenges lurk in the manufacture of transportation fuels. For instance, lower gasoline prices and the rising cost of corn could prompt ethanol companies to scale back output — and this would in turn require U.S. oil refiners to pick up the slack and place greater demand on imports. "2007 is kind of a breather year," Elguindi said. But, he cautioned, "the bull run is not over." That tentative view is shared by Bill Zollars, chief executive of trucking company YRC Worldwide Inc. The amount of goods shipped to retailers could continue to soften if high energy prices sap the spending power of consumers. "It's pretty amazing the economy has been (so) resilient," said Zollars.